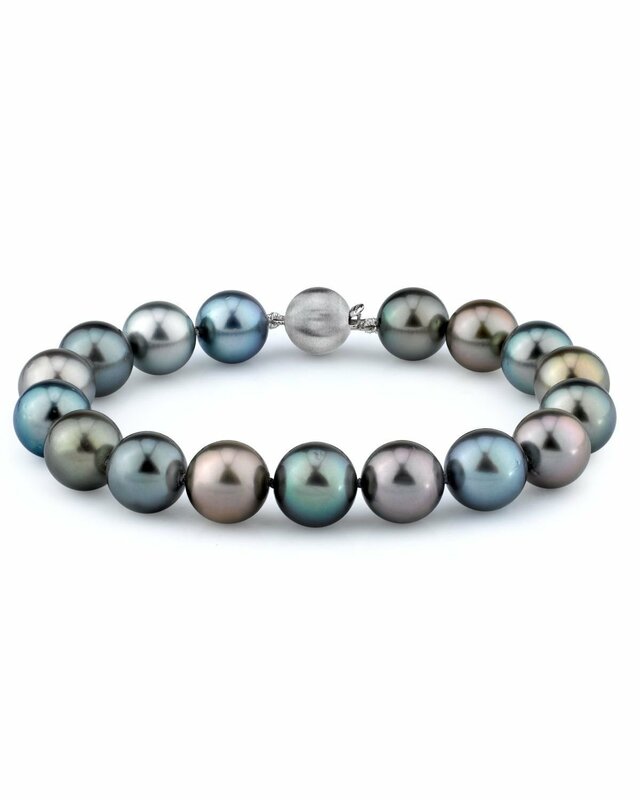 This gorgeous bracelet would make a perfect addition to one of our infamous Tahitian South Sea Multicolor strands. 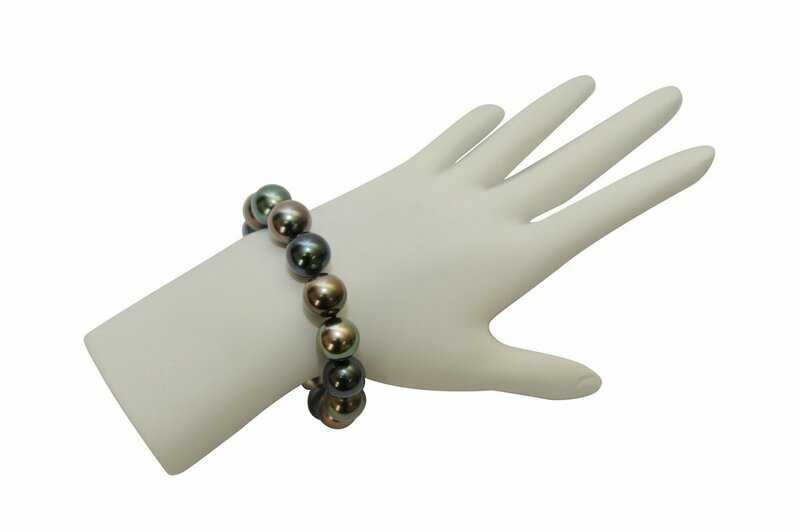 The bracelet consists of exquisite 11-12mm Tahitian South Sea pearls in AAA quality with 'Very High' luster. The color variation on this piece is truly remarkable, including green, silver, blue, and copper pearls. The stunning colors in this bracelet would also go perfectly with one of our exquisite Multicolor Tahitian South Sea Necklaces. If you have any further questions regarding this pearl bracelet, please feel free to speak to one of our pearl experts over the phone by calling 866-87-PEARL (866-877-3275) at anytime. I think my wife will love this bracelet when I give it to her for Christmas.